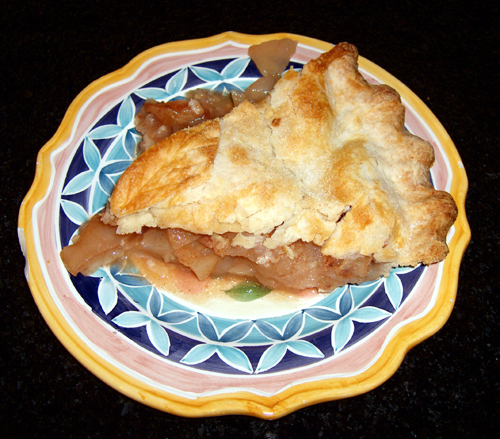 Smothered with spices and baked to perfection this is an all American apple pie. Baked with red, ripe juicy apples straight from a New England farm. That looks wonderful, and we get shipped apples no matter what. My poor apple didn't fruit this year, although I have seen some heavily fruited trees around. Will just have to buy some orchard run when the store gets them in, unwaxed, and unsized, beautiful but don't keep! That's ok since I can depend on my SIL to take any extra pie off my hands, he Loooooves apple pie.